My parents didn’t care much for the kid across the street. Tony was poor and he didn’t go to church and his family was broken. Tony was also slingin’ weed at 12 years old, and he always had the latest Vans high-tops and a quick comeback for the older kids — you could never catch that dude off guard. He was Cuban, his mom and dad were totally hip, and he had a home life that my folks didn’t approve of at all. And everybody over there smoked cannabis — though I’m pretty sure my parents had no idea. They disliked him for other reasons. There was divorce at Tony’s house, too. Four different sets of families came and went and did their thing freely. You had no idea who was a half-brother or a quarter-sister or a step-dad or a cousin. And that didn’t fly with my folks — you stuck together through thick and thin, and probably even let it kill you if you had to. My family was Catholic, and that was the deal you struck with God: You stayed miserable through it all — no backing out, no matter what. It was a much more fluid situation at Tony’s, and it was more natural and optimistic. There were casual late-night parties, constant laughter, and all sorts of other shenanigans going on. People came and went at all hours, enjoying life. Good music poured out of the place like a sweet, slow river. Nobody was in a hurry. It was 1979, and that house consistently delivered funky beats, jazz, and the early sounds of rap and hip-hop. The Sugar Hill Gang’s “Rapper’s Delight” was spinning on repeat, and my 12-year-old Caucasian body was electrified by it. I was about as white as they came — technically, you could probably even classify me as red — and the town I lived in was built around a giant port on the West Coast. The migration of every race imaginable had occurred into San Pedro the generation before — because commerce was pumping there at the time — and had deposited a beautiful working-class mix of races and creeds at the base of the filthy rich Palos Verdes hills. We were all poor, working poor, or barely middle-class, and Tony’s diced-up family was perfectly representative of our town’s fusion. I reveled in how different his family was from mine. You didn’t walk through Tony’s house so much as you glided through it. There was a light feel, with jungle beats and trumpets and deep basslines — and there was always cannabis smoke floating through the air. New faces moved through the silky smoke, all with optimistic ease. I sometimes had a hard time comprehending how people could be so joyful and move so freely. My house was like a monastery by comparison — we were monks listening to Gregorian chants and flogging ourselves. My dad listened to Roger Miller, Patsy Cline and Hank Williams Jr., and felt sad, I think, and wallowed in that pensive music with alcohol. My dad would be nursing a Coors tall-can in the garage after church, fiddling with some tool. I’d be down on my knees in the boiling hot California summer sun, edging the front lawn with a pair of crappy, rusted clippers, and I’d catch a funky beat coming from Tony’s house. My little antennae would go up and trace the sound. Is that Kool & the Gang? I felt like I was in the film “Cool Hand Luke,” when the chain-gang workers were outside watching the warden’s daughter wash her car, suds and honey skin gleaming. All I wanted was to get over to Tony’s and groove and laugh and envelop myself in that silky, funky warmth. Almost 40 years later, I’m listening to some music one day — a wide range of tunes from hip-hop and jazz to metal and grunge — and it occurs to me like a bass slap in the face: that rhythmic music at Tony’s house was really good for a lot of reasons, but mostly it turned me on because it was aspirational and motivating. It made me want to get up and dance. But it also looked upward to the possibilities of life instead of downward to the bummers of the past. And I believe some great, positive music has coincided with marijuana use. 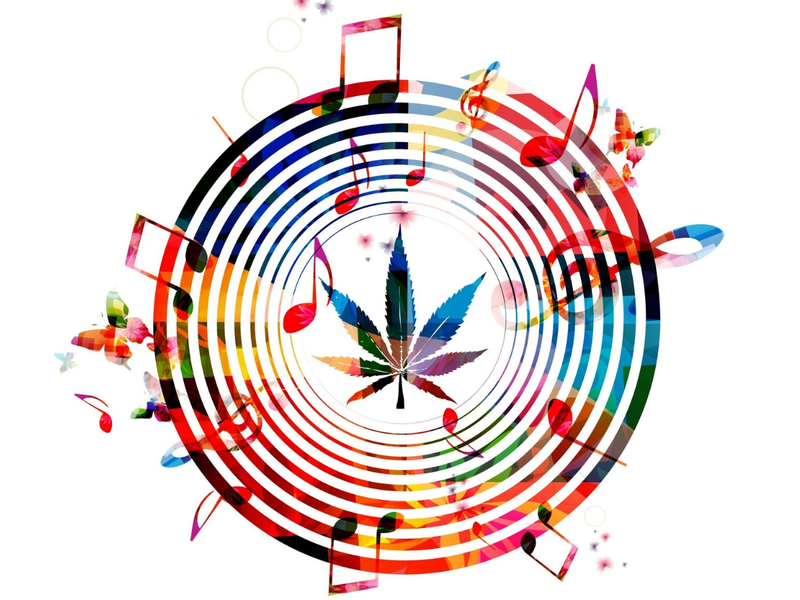 Jazz, reggae, hip-hop and rap all mesh with and lean on cannabis use. Conversely, country, rock, pop, punk, metal, grunge — you name the genre over the past few decades — all often tend toward alcohol use — or worse, cocaine and heavier addictive drugs — and a sense of brooding. Sure, on the surface, gangsta rap and hip-hop might be namechecking brands and using overt references to becoming sickeningly rich — with giant gold chains, lambos, strippers and rollies — but there’s more to it than that. In many cases it’s about pulling yourself out of an impoverished situation and motivating into something better. 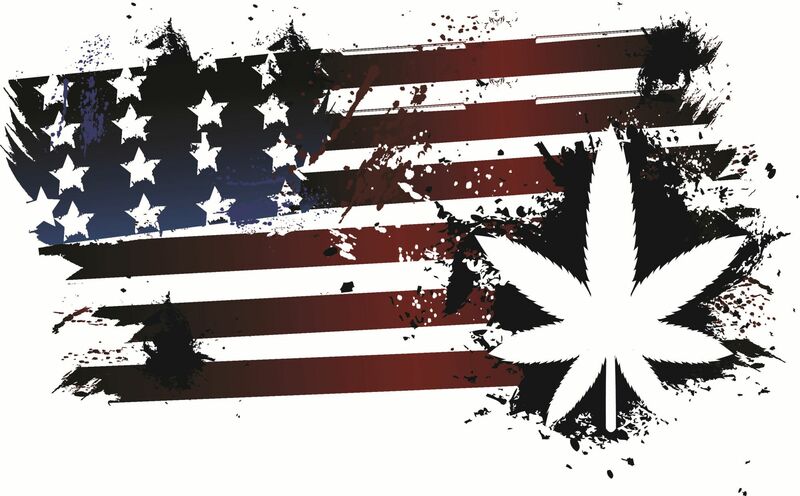 Cannabis has always been celebrated for providing internal exploration and expansive thinking, no matter what the prohibition people might say. Alcohol and prescription drug abuse, on the other hand, tend to push people further into the mire of depression. Mumble rap — with the likes of Lil Xan and Lil Peep — is an offshoot of hip-hop and a perfect example of a musical form that went off the cannabis rails, and isn’t true to the roots and ethos of the genre. It leans heavily on prescription drugs like Xanax and Percocet, which of course create a downward spiral into addiction and misery. When I want to be sad and mope around, I’ll put on Charley Pride’s passive-aggressive winner “Does My Ring Hurt Your Finger” and feel infinitely sorry for myself.